In an effort to deepen its function as a forum for inquiry into issues and methods informing contemporary artistic practice, the Howard Art Project is launching its very first lecture series! This Fall, the HAP presents four artists who straddle disciplines of cultural analysis, and whose artistic practices are central to their research processes and outcomes in Performing Praxis: Examining knowledge production through artistic practice. Re-imagining Knowledge Production: Performance, Research and Cross-Disciplinary Exchange / is a proposal to blur the boundaries across disciplines and to de-stabilize an established knowledge production system. In this lecture, artist Joanna Tam will examine the potentiality of performance as research in social sciences and how performance could be used as a more democratic alternative research methodology in this highly specialized society. Joanna is a Boston-based visual artist. Her interdisciplinary practice examines the issues of standardization, displacement and the construction of ethnic and national identity. She received a BS degree in Computer Science from Boston College and an MFA degree in Studio Art from School of the Museum of Fine Arts, Boston / Tufts University. The Archive is Present: Practice, Process, and the Sticky Image / will outline artist Dell Hamilton’s current projects and how they relate to the compelling and dynamic role of the archive in contemporary art. 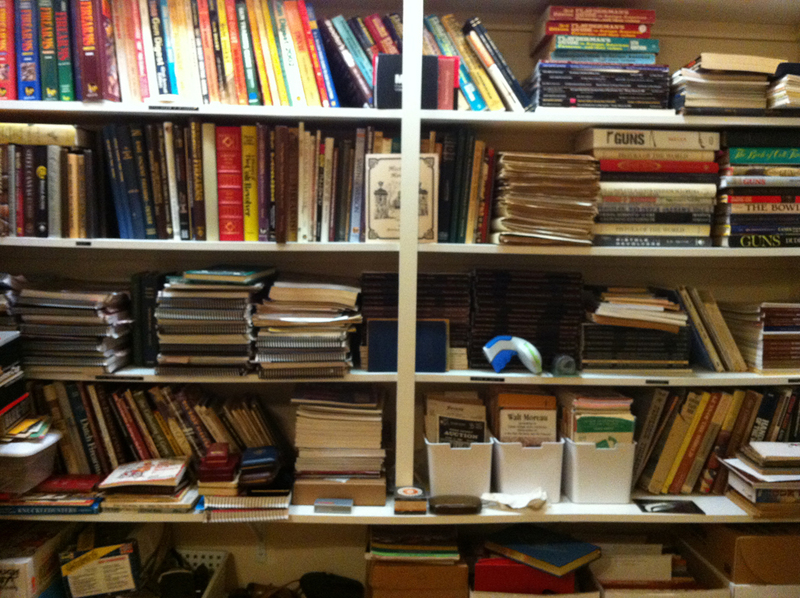 Whether a physical storage comprised of historical photographs, a collection of vintage magazines, the genealogical threads of familial history, or the scrap-booking tendencies of Pinterest, the need to record and catalogue the experiences and desires of the human condition are regularly evidenced within the nature of the archive. As a result, the archive provides artists with the tools to leverage these rich frameworks and re-imagine not only their practice but also conceptions of history, time, space, culture and art. Born in Spanish Harlem, Dell M. Hamilton is a Boston-based artist, writer, archivist and curator . She spent her formative years in the Bronx borough of New York and was raised in a bilingual and multi-racial Honduran family. Her studio practice is grounded in the interdisciplinary contexts of the African Diaspora and her tactics include text art, installation, video , photography and performance art. Hamilton obtained her BA in journalism from Northeastern University where she also studied photography and received her MFA in studio art from the School of the Museum of Fine Arts/ Tufts University. Sexuality and Sculpture: Bowling Chromatic Palette / offers a timeline within the field of sculpture, and considers how different sculptors have used objects to address issues of sexuality and queerness within space. 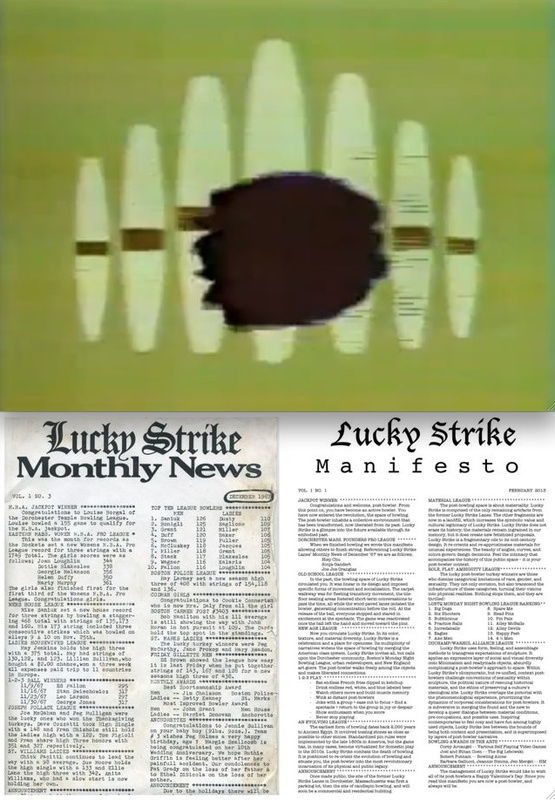 In this lecture, Joe Joe will discuss his recent project, Lucky Strike, which investigates queerness within Dorchester’s former Lucky Strike Lanes Candlepin Bowling Alley, and questions ways in which the sensibilities and physicality of sculpture may be used to progress such issues. Joe Joe Orangias’ practice intersects Fine Arts, Design , and Critical Theory. Currently based in Hamburg, Germany and Galveston, Texas, he holds an MFA from the School of the Museum of Fine Arts and Tufts University. Orangias has exhibited work internationally. He was the recipient of a Visual Arts Fellowship from Hochschule für bildende Künste, Artist Residency at Art342 Foundation in Colorado and Atelier OPA in Tokyo, and SMFA Traveling Fellowship for research in New Zealand. In this performative lecture, artist Cathy McLaurin will employ the act of conversation as a means to delve into ways that her father’s gun collection has become a point of intersection for them to converse; the complicated conversation in the United States around “gun control” and the ways in which that conversation is complicated by personal histories related to identity, desire, legality, bodies in spaces, etc. ; and the role of conversation as a means of researching the research, allowing for a meta discussion. This entry was posted in Exhibitions, Upcoming & Current and tagged school of the museum of fine arts, school of the museum of fine arts boston, spanish harlem, tufts university. Bookmark the permalink.